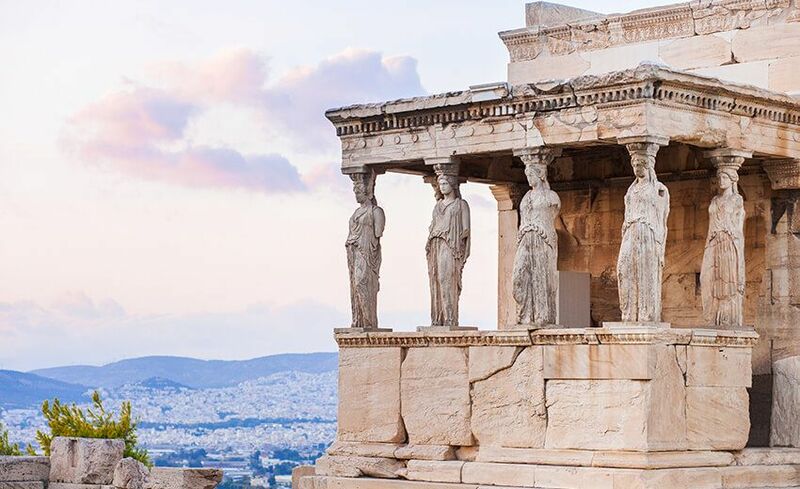 Welcome to the land of myths – a country that gave the world Acropolis, a UNESCO World Heritage Site, the archaeological site of Delphi and myth laden Palace of Knossos. 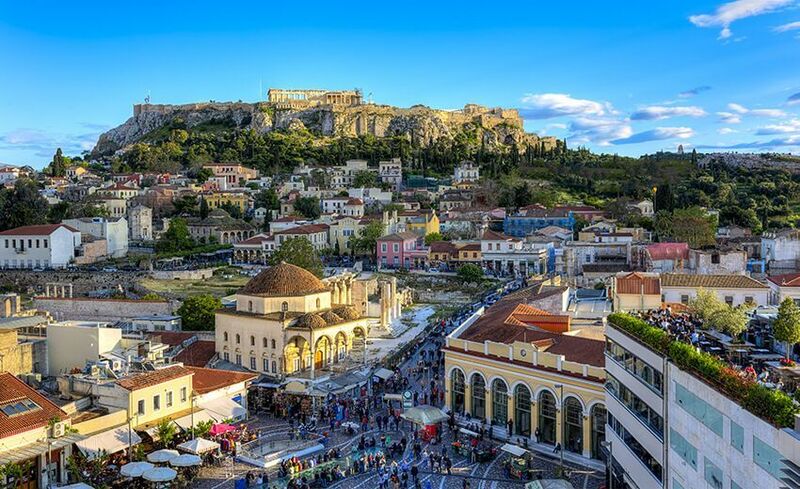 Greece is the oldest capital of Europe. 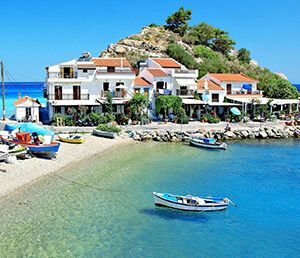 Greece, known for its beaches, food, history and pretty white houses, combine to give you a fantastic holiday. The beaches of Greece are the best in Europe, are spectacular and comes with its own uniqueness – from powdery white to pebbled, rocky to gentle. But their gorgeousness cannot be ignored. Given that Greece enjoys 300 days of sunshine, you will literally be holidaying in sunshine! Everywhere you will find evidence from several historical periods – ancient Greek Temples and monasteries are but a delight to explore. The nightlife is vibrant, with parties often starting in the afternoons and continuing late into the night. Greece is undoubtedly the preferred choice of Hollywood celebs as well. Visiting Greece is a delight for the senses and when it comes to food – no one does the moussaka and souvlaki better than they do! 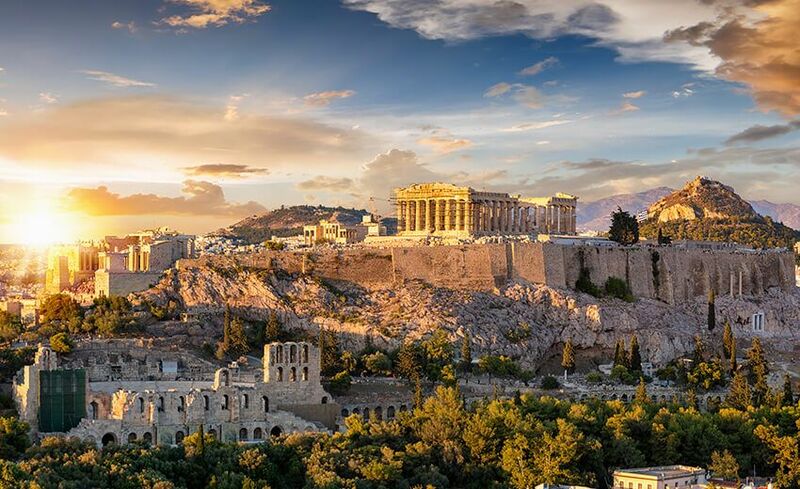 Welcome to Athens, the capital of Greece. As soon as you have completed the formalities, meet and greet your English speaking guide and head out to Piraeus port for embarkation on your exciting three days cruise on the majestic Celestial Olympia. Get on board and settle yourself down for the sensational time ahead. Set sail for Mykonos. You will arrive on this glorious island at 6pm. Upon arrival, you will have free time to see for yourself why Mykonos is one of the most popular Greek Islands. Known for its pristine beaches, Mykonos offers great party, fantastic food and cultural activities. Look for the famous windmills of Mykonos, one of its most recognized landmarks looking like Little Venice. Walk up the hill in Chora for the best sunsets or check out the Armenistis Lighthouse. Well, there is a Little Venice here too. Leave for your next destination, Kusadasi at 11pm. Good morning Kusadasi, Turkey! Enjoy your breakfast on board and be ready to begin exploring Kusadasi as soon as you arrive at port. You will arrive at 7.30am. Kusadasi, a port on the Ephesus has plenty of things to occupy you – like the Temple of Artemis and Basilica of St John. Snap up a bargain at one of its markets or simply watch ships come and go. Grab a little something at a Turkish restaurant for your chance to taste Turkish cuisine. If time permits, make a dash to the Pigeon Island. Return to your cruise and continue towards Patmos. Upon arrival at 5.45pm, disembark and go on to discover this lively port. In Patmos, you will find the Cave of Apocalypse, the famous Griko beach and Hora’s monastery with its labyrinth of whitewashed passageways, arcaded courtyards and narrow stairways, accented by fine medieval frescoes. Depart for Crete at 9.30pm. Good morning! Wake up, rise and shine. Enjoy your breakfast on board and get ready to explore Crete where you will arrive at 7am. Head out to explore the wonders of this island till it is time for you to leave at 12 noon. Crete is the largest island in Greece and known for its fine-sand beaches and White Mountain – the birthplace of Zeus, according to Greek mythology. The capital of Crete, Heraklion, is home to the renowned Heraklion Archaeological Museum. Head to the beach and enjoy a swim in its crystal clear blue waters and get that famous tan…If you wish, you can set out on a short hike or visit the famous Samaria Gorge. 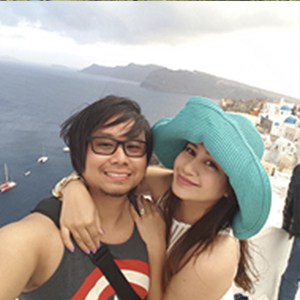 Set sail for your next destination – Santorini where you arrive at 4.30pm. Santorini owes it beauty to the volcanic activity of the 16th century, which shaped every aspect of its existence. Everything, including the taste of its wine and food is affected by its volcanic terrain. Whether you are sunbathing or swimming at Kamari Beach or exploring ancient ruins once buried in ash, or hiking along the Caldera from Fira (where Atlantis is said to have stood), or watching the sunset from Oia, everything is simply breathtaking. Go looking for the rare white aubergine and Santorini’s own active volcano. Leave at 9.30 pm for your next destination. Since this is your last night on board, enjoy your time under the stars. Good morning! Enjoy breakfast before meeting your guide at the Piraeus Port. 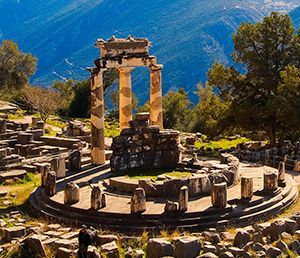 Today you will go on a full day optional tour of Delphi, the most important archeological site in Greece and a UNESCO World Heritage Site. 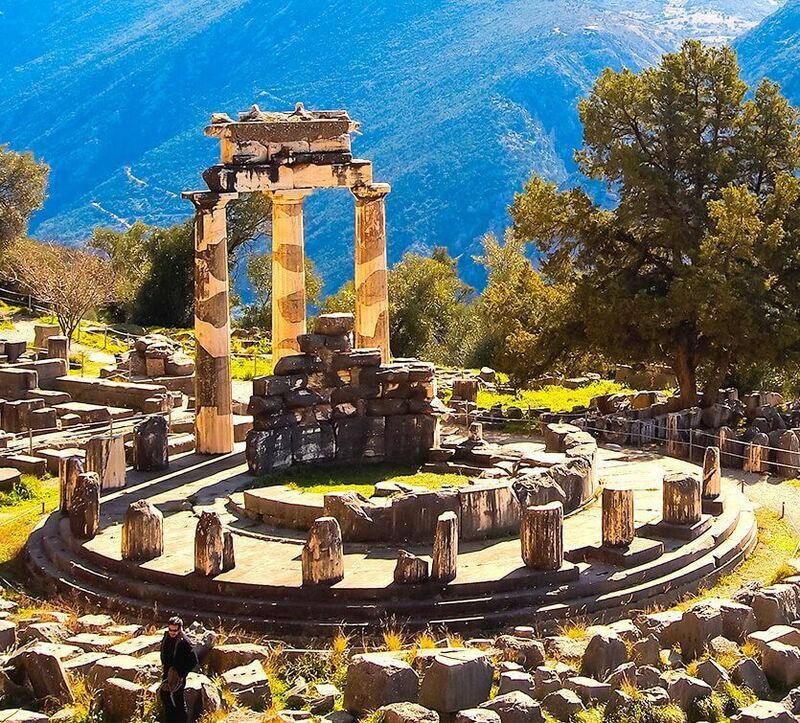 Located in the shadows of Mount Parnassus, Delphi is the site of 4th century Temple of Apollo – home of the Oracle. Delphi, for long was the centre of the ancient world. Its glory rose to monumental heights and spread far beyond the boundaries of Hellenic world. The drive to Delphi will take you through the most amazing plains of Beotia. You will pass historical towns such as Thebes Levadia and Arachova before you reach your destination. See for yourself the majestic ruins of sanctuary of Apollo. Tour the rotund Tholos of Athena Pronaia, walk up the Castallian Fountain, where worshippers of Apollo bathed before entering the site, and drink mineral water at the nearby mountain spring for a truly immersing experience. Return to Athens. OR have some time, get out and explore the city on your own and its famous nightlife before retiring for the day. Overnight in Athens. 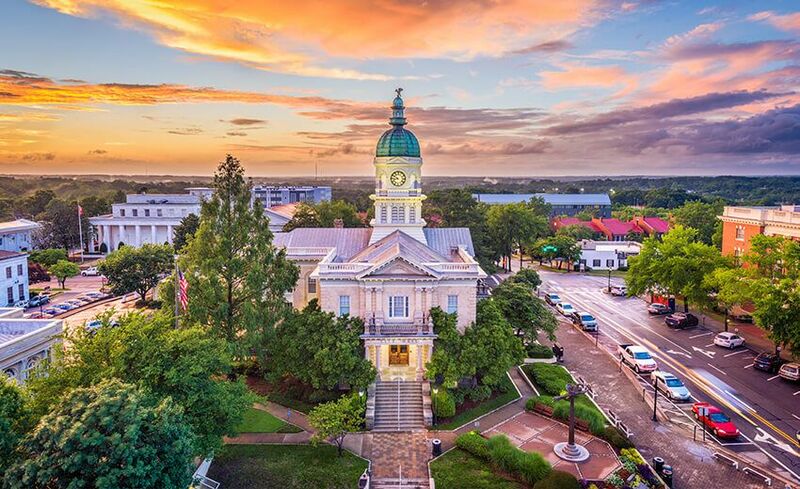 Good morning Athens! Enjoy your last breakfast at your hotel and prepare to go on a tour of this ancient city. 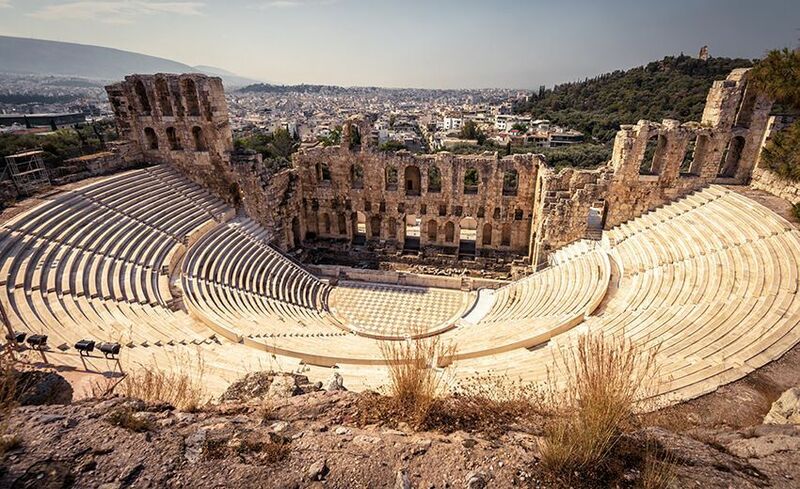 You can easily spend your entire stay in the city working your way from one archaeological site to the next and absorbing the vibe of this city. 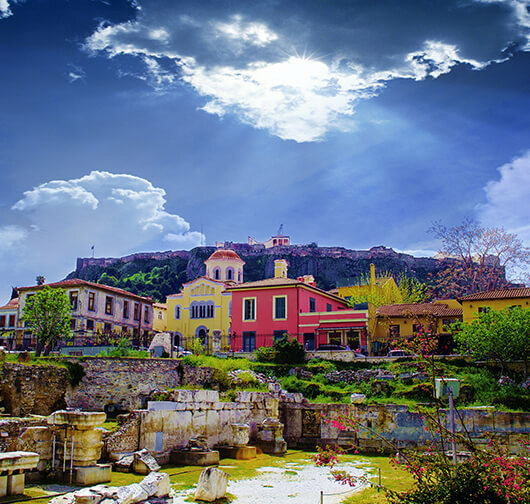 Athens blends modernism with tradition easily – despite being the tourist hotspot, is loyal to its roots. Your guide will meet you at your hotel and accompany you on this tour. 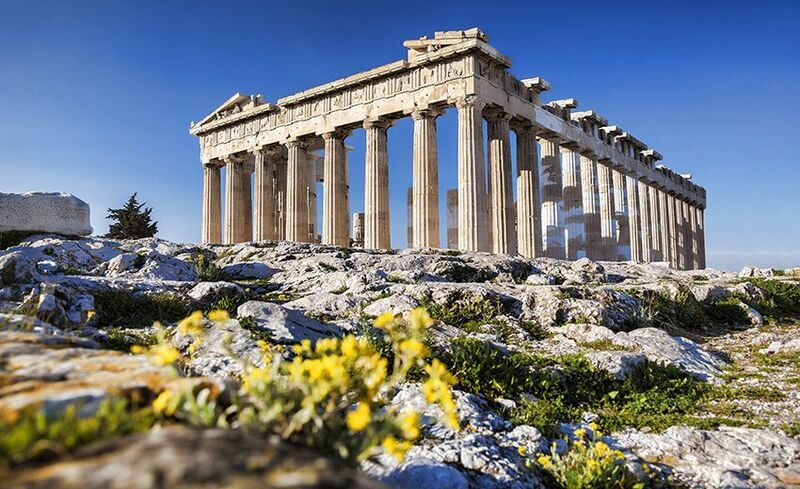 Head out to the Acropolis, the BC 5th century hilltop temple and top most attraction of Greece. 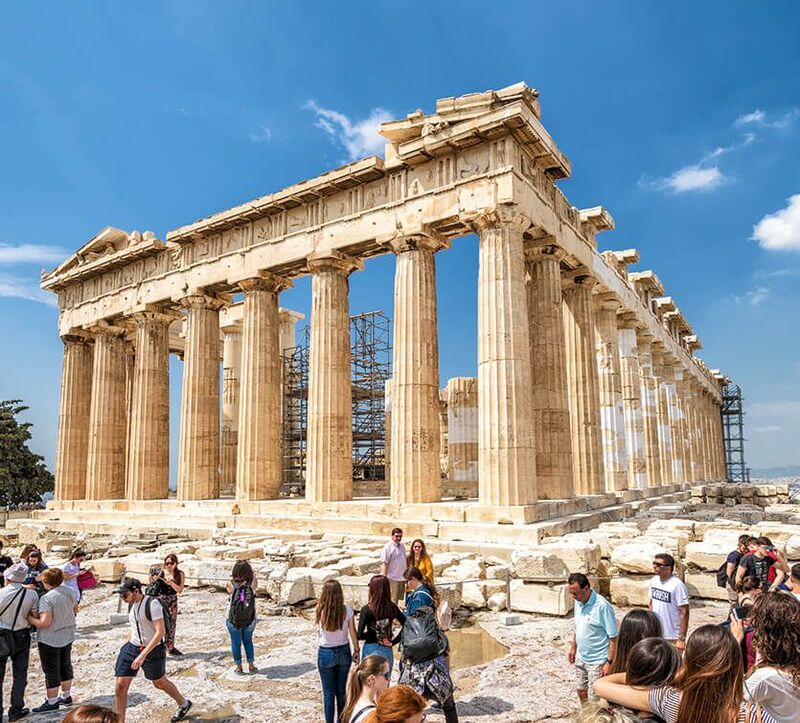 Admire The Parthenon, its impressive and iconic Doric columns from 4th century BC, explore the ancient sites like the Temple of Athena, continue toward the Temple of Zeus (from outside). Pass by Hadrian’s Arch (from outside), photo stop at 1896 1st Olympic stadium of the modern era, drive through the Panepistimiou Street (academy, Library and the university) and finally drop off at Syntagma, a broad tree-lined square with a beautiful fountain and quirky cafes. Head towards the Parliament and watch the handing over ceremony of guards. Transfer to the airport for your return flight home. We truly cannot say enough about our wonderful trip to Greece. We could have never planned such an unforgettable trip without AFC Holidays. Thanks to Ms. Aireen, Vishal & Rina for all the assistance. The cruise trip and excursions were amazing and memorable. We are looking forward to our next trip.